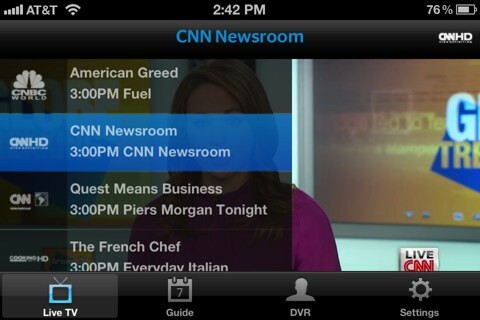 The Time Warner Cable (TWC) TV app has been updated with support for the iPhone and iPod touch. Now you can watch your favorite shows and control your TV on the iPad AND iPhone! - If you are a Time Warner Cable video subscriber, the FREE TWC TV™ app turns your iPad, iPhone or iPod Touch into another TV screen and lets you watch selected live cable channels while in your home, through your wireless home network. Watch Bravo from your bedroom, take Food Network with you to the kitchen or catch up on CNBC news from the breakfast table. TWC TV offers channel blocking. To learn how to activate parental controls, tap "settings," then parental control. To restrict all access to TWC TV, please remember to sign out by tapping "settings", then sign out. 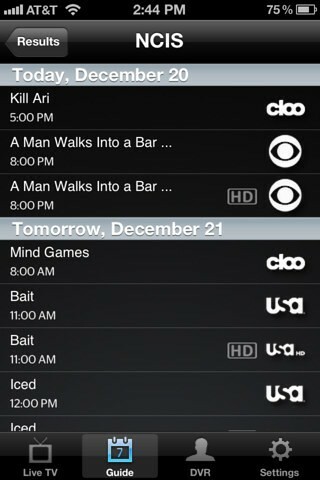 You can download TWC TV from the App Store for free.